I was embarrassed to support Liverpool during the whole Suarez racism stuff. I supported him to an extent (still don't think he is in the John Terry league, but he was a fool), but the way the club very quickly developed this siege mentality was alarming, and very very ill advised. Annasfield, who doesn't really post anymore, is Liverpool through and through, and is a friend. I don't always agree with her on stuff, but when I see her and we chat, she listens to my opinions too. I do see some of her fellow supporter's comments on her FB page and think WTF, but there you go. In my opinion, LFC need to do some serious work on the public relations after the last couple of seasons. This whole "the world is against us" thing is boring. But I still support the club and most of the players, and I'm quite excited about the current squad. I'm not a big fan of Rogers though, because he is so stubborn and doesn't do Plan B. This should probably be on the other thread. > And what will be their excuse when they don't? > Didn't they spend shed loads least summer as well? I can't ever remember a spending spree like this one. It's all a bit different from getting Louis Saha and Ryan Nelson on loan at the last minute. 4-0 not looking likely at the moment. Edited 1 time(s). Last edit was 2013:09:11:19:12:44 by red devil. Edited 1 time(s). Last edit was 2013:09:11:19:14:13 by red devil. Ok ££££, you've had your fun, time to get busy. Have actually gone for a west ham defeat and a ludicrous number of draws! > ludicrous number of draws! Come now - no need to take this league THAT seriously. The cold wind of reality will be @#$%&' around the Boleyn soon enough. I don't think the email reminder works as I didn't get one and completely forgot this week. Can you add on Maxxi's at the end of the year?!?! Ahead of the curve now eh? 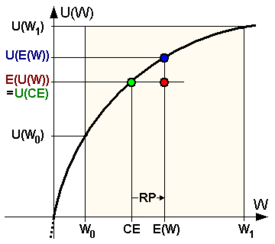 Utility function of a risk-averse (risk-avoiding) individual. The one-all draws didn't serve me well! I only predicted one & it ended 0-0. Edited 1 time(s). Last edit was 2013:09:17:12:36:15 by red devil. Edited 1 time(s). Last edit was 2013:09:17:12:38:15 by red devil. Ol' PD got 3 correct results but forgot to enter. Is that called doing an Otta? So I'm really on 35 and only 1 point ahead now. I seem to recall last season having a cracking opening week, and then going downhill for the next 37 weeks. Looks like more of the same. > get one and completely forgot this week. > Can you add on Maxxi's at the end of the year?!?! Sorry SC, the maxxi is now defunct. The only allowance I'll make is if someone posts their predictions in the forum before kick-off deadline and forgets to do it online, as per Otta. Edited 1 time(s). Last edit was 2013:09:19:18:25:22 by red devil. don't blame me - I copy and paste RD's n'tation. Are your predictions influenced by the Chinese this week EP?